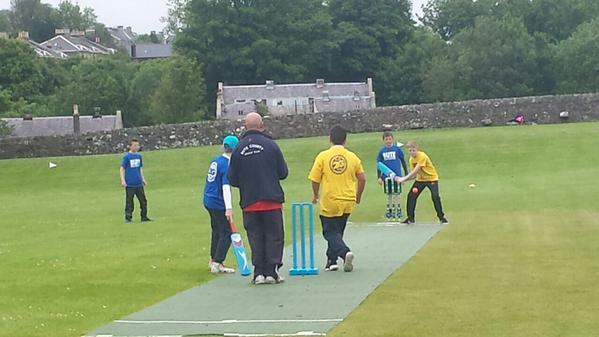 Pupils from all three Bute primary schools took part in a Kwik Cricket match in Rothesay this week to round off six weeks of coaching by the island’s cricket club. 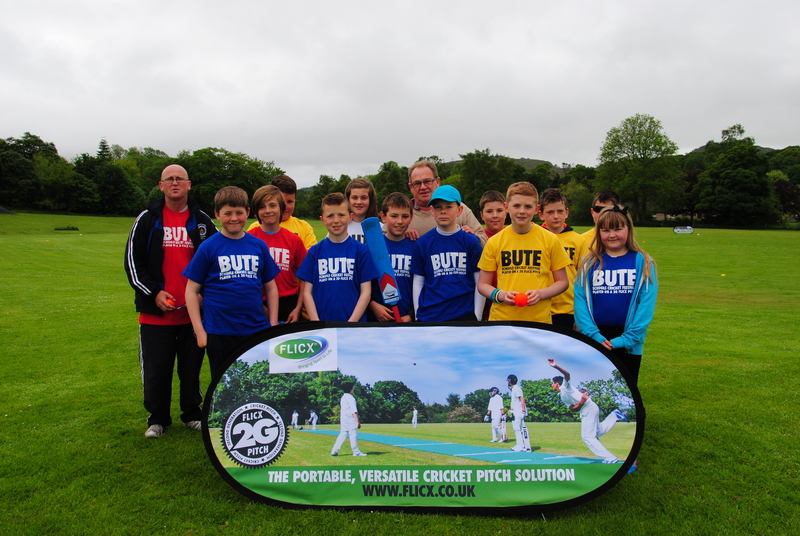 Richard Beghin, managing director of Banbury-based Flicx UK, was guest of honour as children from Rothesay, St Andrew’s and North Bute primaries took to a shortened version of the 2G Flicx pitch to play a competitive match following six weeks of coaching from Bute County Cricket Club’s Alan Peacock. Flicx UK presented cricket t-shirts to the players who arrived for the game at The Meadows, and Richard gave out medals to all players after the 50 minute game which was won by Rothesay B, made up of Rothesay and St Andrew’s pupils. 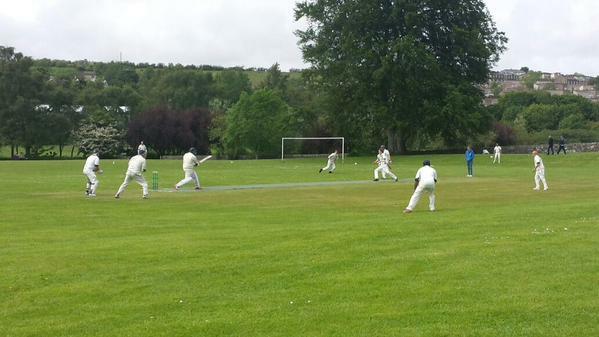 Starting with a score of 200, Rothesay B finished on 221 after six overs, whereas their rivals, Rothesay A – made up of pupils from Rothseay and North Bute primaries – scored 207. After the schools competition, Bute CC hosted Clydesdale side Cavaliers but at The Meadows in the Sri Lankan themed match the home team took what can only be described as a 102 run hiding. Bute selected the 2G Flicx Pitch for its all weather capabilities and so even a rain shower, doesn’t stop play on this picturesque cricketing island.